Lake Burton is a 2,775 acre lake reservoir with 62 miles of shoreline located in the northeastern corner of Georgia in Rabun County. It is the first lake in a six-lake series called the Watershed that follows the original course of the Tallulah River. The chain begins with Lake Burton as the northernmost lake followed by Lake Seed, Lake Rabun, Lake Tallulah Falls, Lake Tugalo, and Lake Yonah. The lakes are owned and operated by the Georgia Power Company to generate hydroelectric energy for Georgia’s largest city, Atlanta. 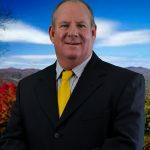 Lake Burton is home to well known celebrities as Sam Nunn and Football Legends Vince Dooley, and Nick Saban Let Chip Durpo help you find Homes for Sale on Lake Burton Ga. The Luxury Homes Collection of lake Burton. The lake was built in a deep valley located along a 10-mile (16 km) section of the Tallulah River. The Lake Burton Dam was closed on December 22, 1919 and the lake started to fill. The dam is a gravity concrete dam, with a height of 128 feet (39 m) and a span of 1,100 feet (340 m). The spillway is equipped with eight gates 22 feet (6.7 m) wide by 6.6 feet (2.0 m) high. The total capacity at an elevation of 1,866.6 feet (568.9 m) is 108,000 acre⋅ft (133,000,000 m3), of which 106,000 acre⋅ft (131,000,000 m3) is usable storage. The generating capacity of the dam is 6,120 kilowatts (two units). Lake Burton is the highest Georgia Power lake in Georgia, therefore house owners rent the land under 99 year leases and all the land is owned by the Georgia Power. About the Name "Lake Burton"
Lake Burton’s name was derived from the town of Burton, which was the second largest town in Rabun County with a population of approximately 200. The former town now lies below the lake’s surface. The town (and the lake) was named after local prominent citizen Jeremiah Burton and was situated along the road from Clayton, Georgia to the Nacoochee Valley. Andrew Jackson Ritchie served as the postmaster for the area for several years. Gold was first discovered in Rabun County where Dicks Creek and the Tallulah River come together and was the reason for the town’s founding in the early 19th century. The Lake Burton Fish Hatchery and Moccasin Creek State Park are located on the lake’s west side. The lake is home to several species of fish, including spotted bass, largemouth bass, white bass, black crappie, bluegill, redear sunfish, white catfish, walleye, brown trout, rainbow trout, and yellow perch. The residents of Lake Burton are a mix of permanent residents and seasonal vacationers who together make-up the Lake Burton Civic Association, a local organization whose goal is to maintain the lake through volunteer clean-ups and other such events. Therefore, many of the homes on the lake are on land leased from Georgia Power while the remaining are fee simple properties. Home prices on the lake range from three hundred thousand to twenty million dollars (USD).